Read customer reviews, pricing, key features and frequently asked questions for the Tend Secure Lynx Solar security camera. The Tend Secure Lynx Solar is a solar-powered security camera featuring uninterrupted monitoring, facial recognition, Smart Assistant technology, and 1080p resolution. Pros: Easy to set-up, solar charging, great image quality. Cons: Camera takes a while to "wake up." Bottomline: Good self-powered security camera system for home or office use. 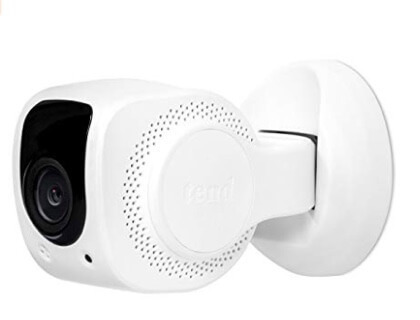 What is the price range of Tend security cameras? Tend security cameras range from $59.99 to $279.99. Where can I buy the Tend Secure Lynx Solar security camera? You can buy the Tend Solar from sites like Amazon or directly from tendinsights.com. What is the Tend Solar camera good for? The Tend Solar is a dedicated solar-powered security camera that is able to run on solar or AC power. The Tend Solar requires only one sunny day to power the camera for up to seven days. Does the Tend Solar need an internet connection to work? Yes, the Tend Solar does require an internet connection to work. If there is a power outage, the camera stores up to three days of data and will upload it to the cloud once power is restored. What are some Tend Secure Lynx Solar alternatives? What's in the Tend Secure Lynx Solar box? 25-foot in line power cable. Love the cameras and the app! Totally worth it! Tend Secure camaras do what they advertise what they will do. We have dropped them many times moving them around and they have held up just fine. I recommend Tend Secure for personal security. I recently purchased a Lynx Indoor security camera (made by company Tend Secure). My house has recently been broken into, and I wanted a camera for security in case it happens again. I want to leave the camera live streaming during the day when Im away from home and have it turned off when Im home.The problem is the camera is not designed to be turned off?! Which seems ridiculous to me. There is no way to power the camera on / off via either a dedicated switch or via the app. I contacted the Tend Secure customer support to ask about this. They told me the recommended method of use is to enable motion detection when I leave for the day, and disable motion detection when I am home. They actually told me that if I was concerned about live streaming while I was home, I could point the camera at a wall, or put a small box over it... that was the recommended method of use from the Tend Secure customer support!? Clearly this is an inadequate solution and just feels completely amateur. If you’re looking for a camera that can run off of solar power, the Tend Solar appears to live up to expectation. Not only does the camera charge quickly using the solar panel, it also sips through the battery life. 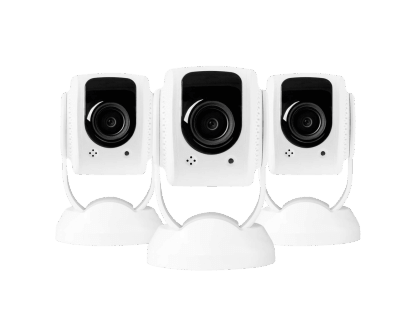 As with the Lynx Indoor, Tend has made some great strides in the self-monitored home security camera market. The solar panel is effective, backed by a backup battery. Additionally, the camera’s live feed comes in crystal clear during the day and night. Overall, however, I feel Tend has taken a few steps backward with the Lynx Solar. The sudden disappearance of the facial recognition feature makes purchasing the camera much harder to justify. Putting the camera to sleep to save battery is important, but the occasionally slow wake-up times could cause you to miss something important. As with the Lynx Indoor, the lack of integration with smart home devices like Alexa or Google Home, and no integration with IFTTT or other automation tools makes it a subpar option for a fully-integrated household.